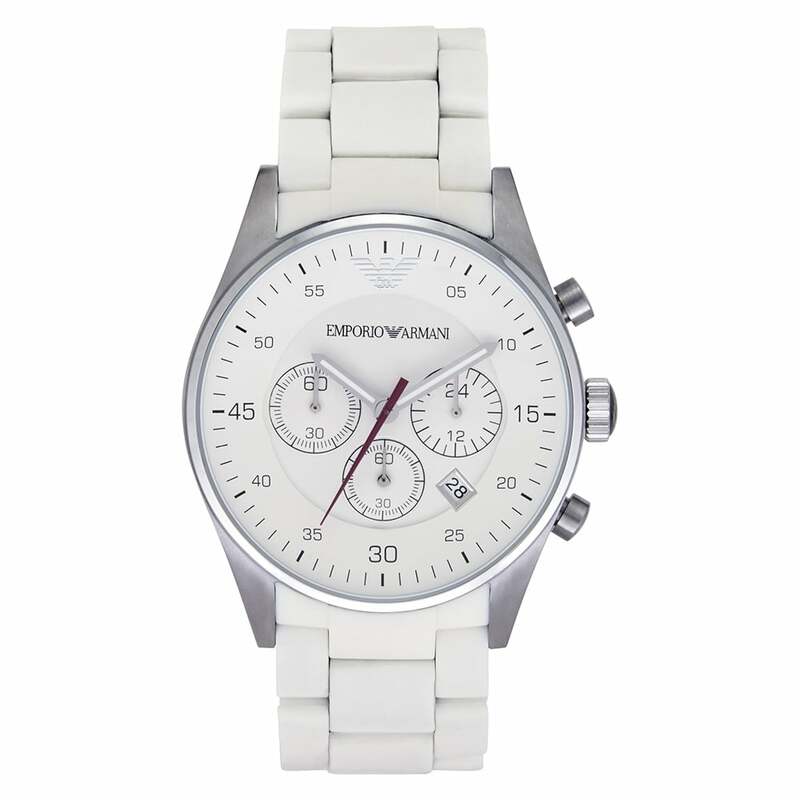 Emporio Armani Gents White Silicone Watch AR5859. The Emporio Armani gent's white Silicone sports watch AR5859 is a desirable timepiece from the men's Emporio Armani Collection. This Armani AR5859 watch features a desirable white Silicone strap with stainless steel case. The white dial features a date display window, chronograph function and is water resistant up to 50 metres. The watch also comes with a 2 year warranty and an official Armani display box.